Here’s another: everything he does is good. Well, OK, almost everything (we’re not countingThe All Star Comedy Show). From Cracker to State Of Play; from Life On Mars to his latest, the dark drama Exile with Jim Broadbent, about a journalist who returns home to his now-senile father – 40-year-old Simm is a one-man divining rod for that rare home-grown thing: quality TV. That Spidey sense is also why he’s never bothered with Hollywood (“You get this thing now where you’re not allowed to look at the script when you audition. I’m not keen on that. I want to see what I’m signing up for”), but then Hollywood’s loss is definitely British TV’s – and football fans’ – gain. Exile begins on BBC One next month. Originally published in the April 2011 issue of British GQ. 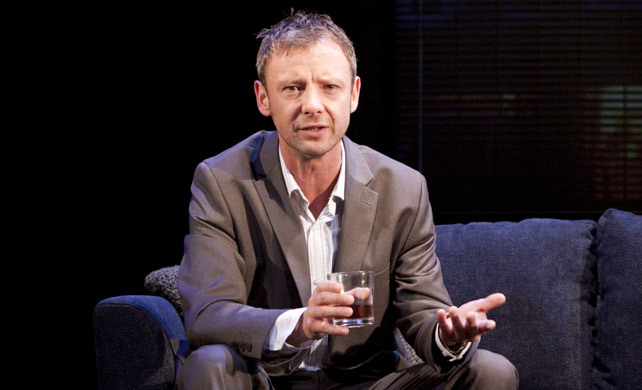 Tags: actor, bbc one, exile, Interview, john, simm, Television, tv. Bookmark the permalink. I think John could be the one to play Julian Assange if they ever make a movie of his life.